I’m so happy you found your way here! I want you to get to know me so I wrapped up all of my best stuff on this page as cliff notes. Through my personal journey of transformation and over a decade of spiritual mentorship and formal training, my purpose is to help you find and live your truth. To guide you to connect on a deep soul level and really be seen, heard and felt for all that you are. I help you break free from reacting to what they do, say and think right here for free. 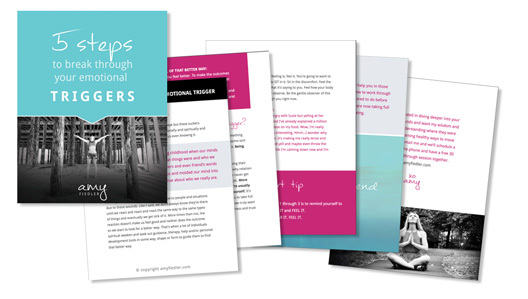 You will love this guide I created to help you break through your emotional triggers. This 13 page guide includes the very steps I created and personally practice whenever something triggers me.